In December 2016, IGN FI was awarded a tender on the supervision of the development of a forest management system in Gabon. In this contract IGN FI has to assess the needs of the Ministry in charge of forest economy and make the functional analysis of the tools to be developed. This tool will contribute to a more sustainable management of the resources. In Gabon, with a total of 22 millions of hectares, forest represents 85% of the whole country. With a total population estimated at 1,8 million inhabitants, Gabon is the first African country in term of forest surface per inhabitant. Currently, the forestry sector ranks second in the state’s revenues from the exploitation of its natural resources and remains the leading employer in the private sector with nearly 28% of the workforce. The Gabonese forest is not inexhaustible and in a context of globalization of the economy, it is likely that the forests of Gabon will be increasingly solicited and subject to increasing pressures. This is the reason why the Gabonese government has initiated in depth reforms of its institutional and legal framework. A result of this process was the adoption in 2001 of a new forest code that focuses on forest management, the development of the performing wood industry and recommends before anything else the adoption of a forest management plan. The objective of the Forest Management Control project will contribute to preserve and make sustainable the national forest heritage of Gabon. 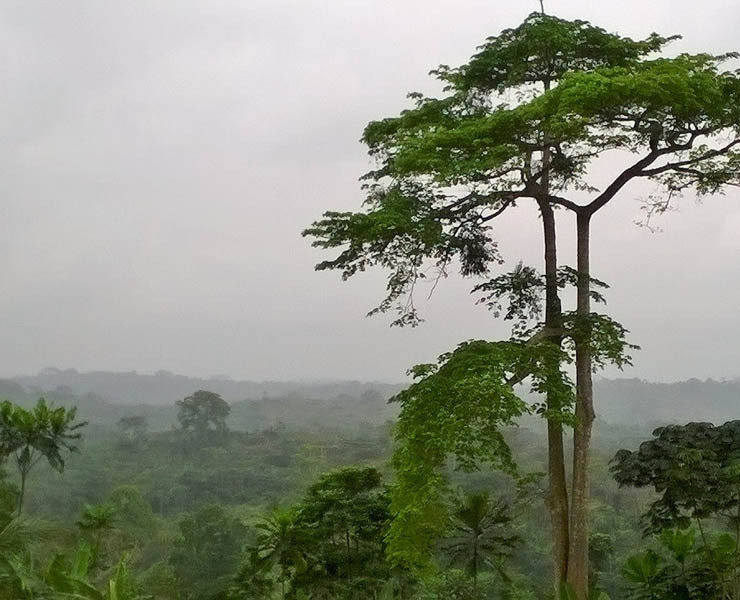 Funded by AFD, the Forest management Control Project is a priority of the national Development Plan of Gabon.